One of the things that I absolutely love about Google Chrome is the Speed Dial, It basically adds thumbnail images of your favorite sites to the page that is displayed when you open a new tab. 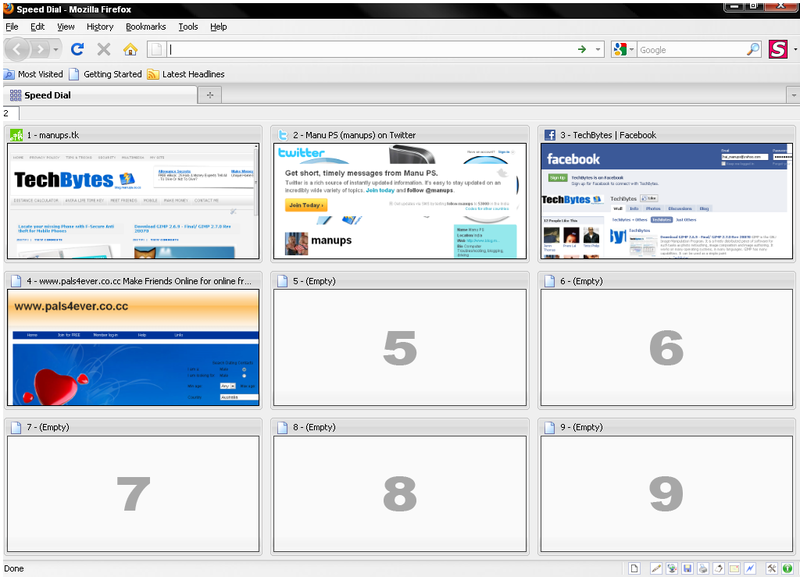 Speed Dial is a Firefox extension that allows you to quickly access your favorite web sites via customizable keyboard hotkeys and/or from a thumbnail gallery that can be accessed from the Firefox toolbar. 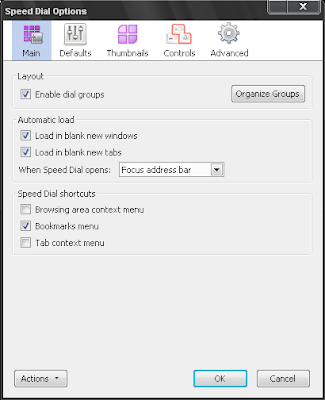 You can either launch your favorite sites from anywhere by simply pressing the assigned speed dial shortcut (e.g. Ctrl+1) or you can open the Speed Dial thumbnail gallery with up-to-date snapshots of your favorite sites and simply click on the website image to open the site. The program is highly customizable, you can control how speed dial sites are launched (new tab, same tab, new window), change the layout and size of your thumbnail page, organize your speed dials into groups, and much more. The only thing that I’ve found this extension to lack is dragging and dropping bookmarks/URLS onto a blank square which I believe eases the setup process. Admittedly this extension is the closest thing I’ve seen to Opera’s Speed Dial, and it even has some aspects that I like better. From now on I don’t think I’ll be using Firefox without this extension.